Tooth loss is never an easy thing to face, particularly when you have done everything in your power to preserve your natural teeth for as long as possible. Brushing and flossing daily, and attending all your check-up appointments are essential for keeping your teeth as healthy and beautiful as possible. However, sometimes decay or damage becomes so problematic that restorative dental treatments such as cavity fillings or crowns simply aren’t sufficient. In many cases, extracting the affected tooth is the best course of action to preserve the health of the teeth surrounding it. Tooth loss does not only affect the function of the mouth, making it more difficult to eat, drink and speak properly, it can also have a detrimental effect on your appearance. Your smile is a big aspect of how the world sees you. Gaps in your smile can create feelings of embarrassment, shame and low-confidence. Fortunately, dentures are a simple, fast, and relatively inexpensive way of restoring the appearance and function of your teeth, helping you to feel happy and confident once more. 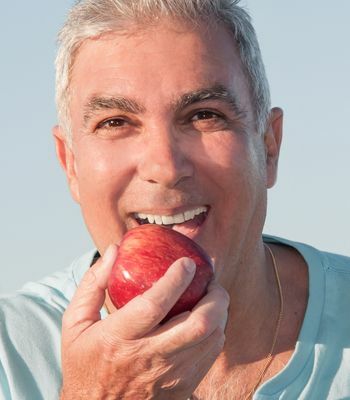 Let’s take a look at some of the key benefits of dentures. Tooth loss can compromise your ability to use your mouth and teeth properly, especially advanced forms of tooth loss. Depending on the location of your gaps, you may find it difficult to bite or chew, and you may find that your speech is also affected. Dentures can help you to regain the full function of your teeth, helping you to enjoy eating, drinking, and speaking without any issues. Gaps in your smile can be bad news for the health of your remaining teeth. Teeth naturally shift to take advantage of additional space, and gaps left open in your mouth could encourage your other teeth to move. This can cause alignment problems, as well as creating further, smaller gaps between your teeth, which act as nests for food debris and bacteria. While flossing helps to clean these pockets between your teeth, it is virtually impossible to clean them completely. This means that patients with spaces between their teeth are at greater risk of decay and gum problems. Dentures will fill the gap left by missing teeth, helping you to sustain the alignment and health of your smile. Everyone wants to look good, and feel great about their appearance. Unfortunately, many people who suffer from tooth loss are ashamed or embarrassed about the way that their smile looks. As such, they may try to hide it by avoiding social situations and smiling with a closed mouth in photographs. A full set of dentures can help to create a more defined face and jaw, making you look healthier and more youthful. Dentures are created so that they look and feel just like natural teeth, giving you back the smile that you deserve. 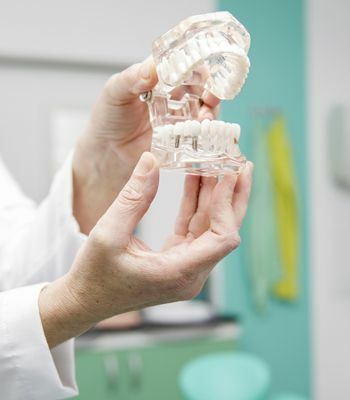 Dr. Motufau is delighted to be able to offer his first-class dentures service to patients living in and around Grand Junction, CO. With extensive education, training and experience, you can be certain that Dr. Motufau will help you find your smile again. 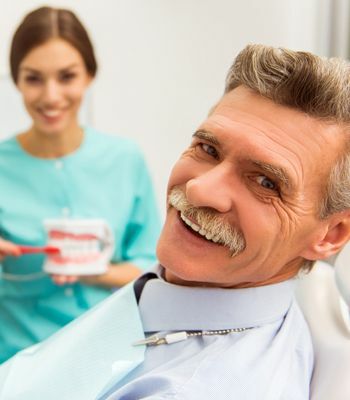 Contact our offices today to arrange your consultation at 970-822-0400 and learn more about how you can reap the benefits of dentures in Grand Junction, CO.